This kind of quirky photograph is not typical of the kind of work that I do as a wedding photographer taking family photographs. This photo is of the bride and her two brothers at Huron Substation after their wedding ceremony. 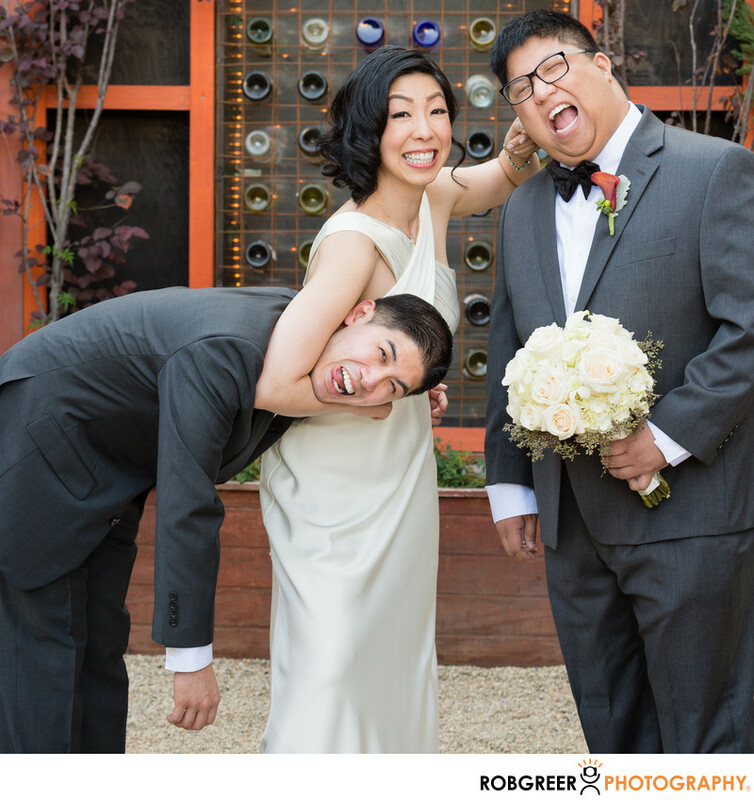 As is illustrated here, the three of them have a playful relationship and from the way this photograph shaped up, I'd say that the bride tends to be most aggressive of the siblings. Although I also captured a traditional wedding portrait of these three individuals, I much prefer this photograph of the three of them as I feel like it reveals a measure of their personality and their relationship. That being said, one can ever be sure that this is truly representative. But if it's not representative of their familial relationship, that's ok too because then the photograph becomes quirky and ironic. And those are great adjectives as well for any wedding photograph. Huron Substation is located in Los Angeles, California. Phone: (323) 225-8909. Website: http://www.huronsubstation.com. Location: 2640 Huron St, Los Angeles, CA 90065. 1/125; f/5.0; ISO 500; 70.0 mm.